Satiate your cravings and enjoy the warm, accommodating ambiance of the newest restaurant in the bustling City of Tagaytay, Entrada. 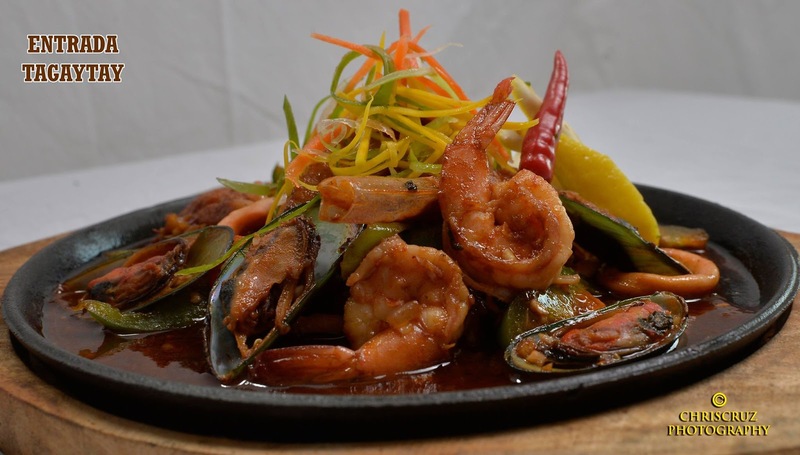 A restaurant, bar and events place in one, this new place offers comforting fusion of Filipino favorites that you and your loved ones can enjoy. Under the scrutinizing supervision of one of the country’s sought-after chefs, Chef Perla Marges, Entrada Tagaytay is officially opening its doors to everyone this January 27, Saturday. Located at Tagaytay Heights Subdivision, Mahogany Road, Brgy. 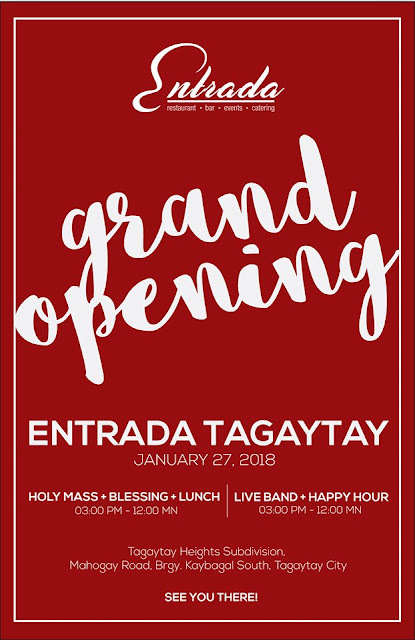 Kaybagal South, Entrada Tagaytay will be open to everyone right after the holy mass and blessing in the morning. Live band and happy hour will then follow in the afternoon until midnight. 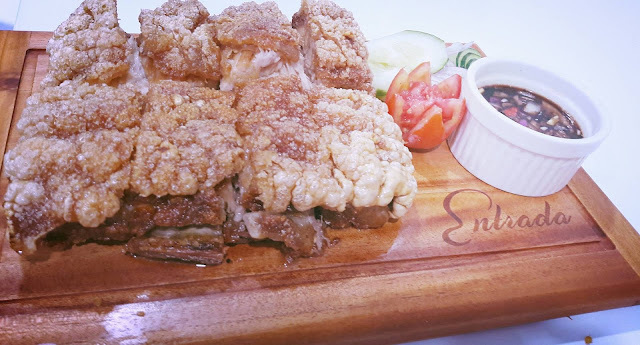 Guests coming in can enjoy Entrada Tagaytay specialties such as the Entrada Classic Beef Kare-Kare, Crispy Pata, Entrada Bagnet Kare-Kare and the unique Creamy Bulalo. There’s also the all-time favorite Sinigang dishes that were given a unique twist, adding that warm and familiar flavor to every visit. Instead of the regular soup, Entrada Tagaytay used mashed gabi to make the soup a little creamy as well as real sampalok that goes really well with fresh fish, shrimp, pork and beef. For those who are looking forward to a relaxing night, Entrada's Beef Kaldereta, Gambas, Beef Salpicao, Kilawing Tanigue and Sizzling Bulalo Steak are made perfect for a bottle of beer. 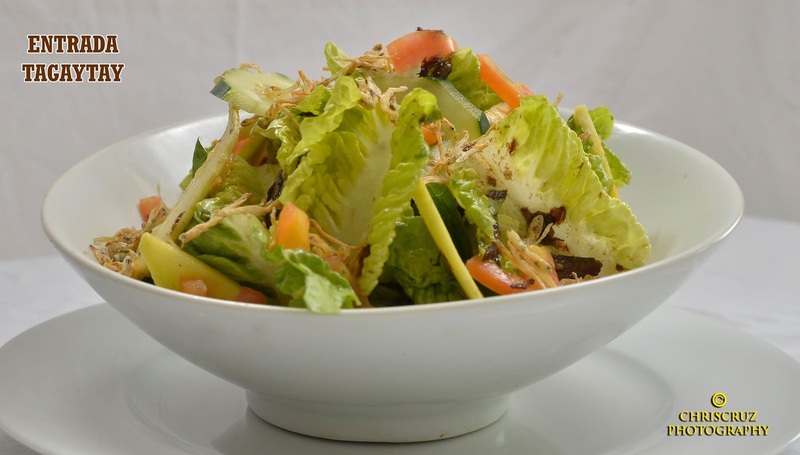 But if you are up for some comforting yet light dinner the restaurant’s Fresh Lumpia wrapped with Eggplant, Ginataang Langka with Fried Dilis and Puso ng Saging with Inihaw na Liempo are certainly the must-haves. 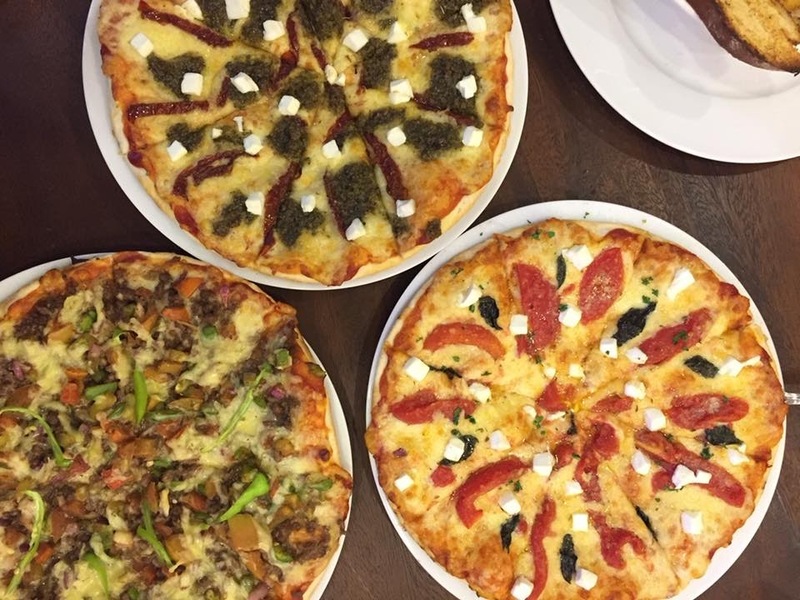 Kids are also welcome at Entrada Tagaytay as the restaurant offers wide array of children’s favorite dishes such as Fried Chicken, Buffalo Chicken, Pizzas and Pastas. Set to be your newest food destination or hangout place in Tagaytay, Entrada aims to share not just the comfort of their food, but as well as the warm accommodation that Tagaytay is giving to its guests, local and foreign, to keep them coming back. 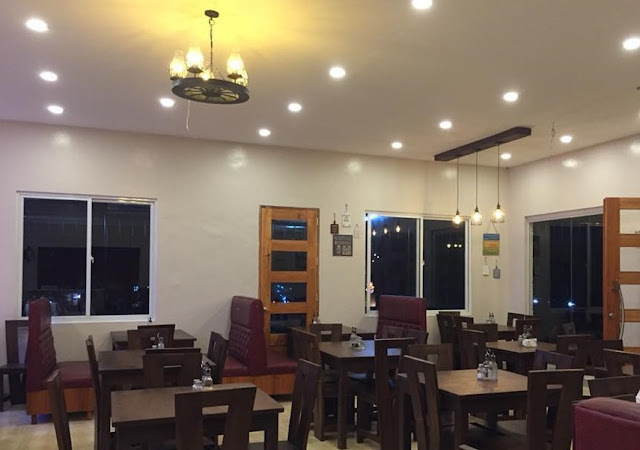 Entrada Tagaytay will be open from 10 in the morning til midnight sharing breakfast, lunch, dinner, drinks and coffee to the locals and visitors of Tagaytay City. For more details or table reservations, you can contact them at 0917-7683901, or you can follow them on Facebook, @EntradaTagaytay.